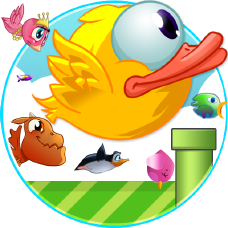 This is an awesome remake of the surprisingly crazy hit "Flappy Bird" featuring REAL online play. Play FIVE! unique zones: Green, Blue, Red, Purple, and the new Castle Zone! All incredibly challenging! And with awesome people online from around the world. Join us flapping for the highest scores! 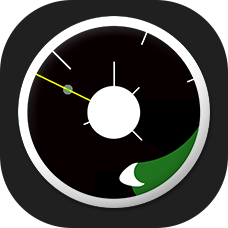 Move clockwise around the circle, as fast as you can with your finger. 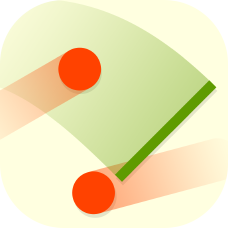 Avoid the generated obstacles, and score a point for each lap. Race the purple time-out line, with your finger controlled zap. Don't hit any obstacles or walls. There are 5 columns flashing back-and-forth, touch the screen to stop and align each row on top of each other. There is also a random zone that demands immediate reaction, and a widezone that can be both a nuisance or an advantage. Fill in the blanks like in Cards Against Humanity, or apples to apples. Except the phrases are much, much dirtier. With over 400 different cards and more on the way, this is THE cards against humanity inspired game to play with your friends on just one device! Not Safe For Work, Guaranteed Hilarious. A new amazing little time-waster! Control the spinning stick, Avoid the balls. The ingenious yet incredibly simple mix of a counter-clockwise spinning stick and the ever increasing amount of bouncing balls makes an incredible challenge. How many balls can you survive? 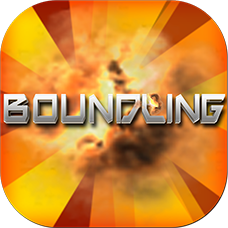 Boundling is a pattern-puzzle game packed with exciting levels, dangerous explosion patterns and tons of fun! 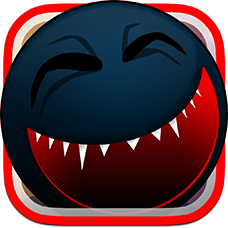 Circumvent the system or get splattered in this fast paced game of skill and reflexes. How long will you survive? 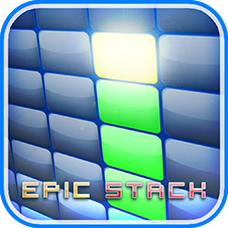 It is slick, simple yet addictive, and requires incredible skills to master! 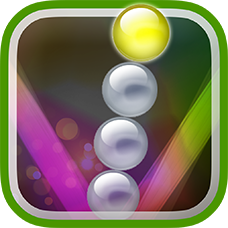 In this new atmospheric action puzzle, colored orbs will hit your sphere tower and make it unstable. These orbs will hit with increasing force, that only gets harder as you play longer! Counteract these forces by tilting your device to avoid toppling. The game utilizes your device's gyroscope accurately so all you have to do is tilt it, but be careful not to do too much tilting or your tower will topple! 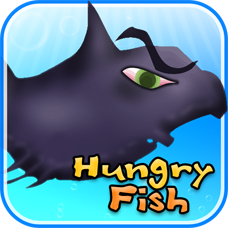 Once upon a time there was a little shark, and he was so hungry! He wanted to eat aaaalll the fish in the ocean, but he was really afraid, because there are so many big scary fishies out there, he wants to grow so he can eat them all! 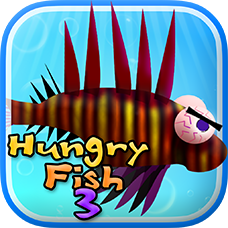 Flappity flap and squeeze yourself into the tiny gaps between the pipes to avoid being squished flat as a pancake. 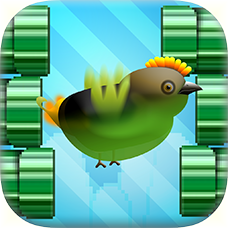 Swoop in on this new wing flapping bird game, try to beat 100 points to fly away, and to the top of the online high-score list! 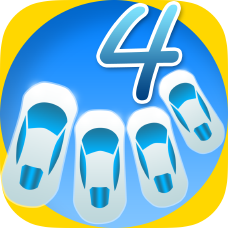 Stimulate your brain in this highly addictive skill game, by going on a ride with four different cars at the same time! Just tap to make a car switch lane. Steering around the spikes should be your top priority since the game won't end until you crash, giving you a fair chance to see how many coins you can collect along the road.